Is There A Proper Way To Pack Your Breakables When Moving Houses? Unless you are a professional mover, it is advisable to let the experts handle the packing, loading and then moving your valued possessions. These people have the tools and experience to do a perfect job. A good example on when to let the experts handle the packing is when you are moving fragile items in your home. Quite a number of people request the movers to professionally pack their breakables for as to minimize the likelihood of these items getting damaged. However, if this is not something in your budget, then it is suggested that you take extra precautions when packing your fragile items. Unfortunately, a lot of people rush their packing and forget to take the proper precautions to protect their breakables, and thus end up with broken glasses, furniture pieces, and so forth. You don’t want this to happen to your fragile valuables, do you? Carelessly packed breakables often come out damaged even when using the most of the cautious movers in your neighborhood. This usually creates a frustrating situation for both the customers and the movers. Fortunately, this all can be avoided by following definite packing guidelines. Let’s look at some of these guidelines. 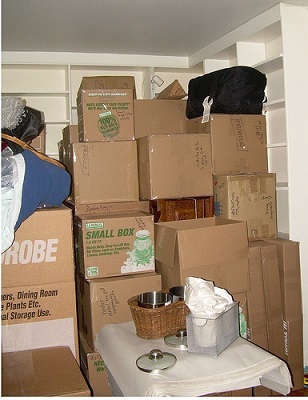 Prior to packing fragile items in your house, make sure that all the other things are properly packed. Breakables generally take more time to pack as each item has to be properly protected from the other in order to avoid breakages. If you start with the fragile items, then the whole packing undertaking will take too long, something that end up delaying the whole relocation task. When some people realize this, they rush the whole packing undertaking ending up with more problems than benefits. To avoid this, simply have the breakables packed last. Better still, have professional movers to pack them for you. And while at it, make sure to allow enough time to do all the packing. Remember, rushed packing is more costly than taking time to correctly pack. Fragile items should be carefully wrapped in unprinted soft papers prior to being placed into a box. If you are using a professional packer or mover to help you pack your breakables, then you need to take extra caution when packing these items. One way of doing so is to line the bottom of the box with some sort of additional cushioning or bubble wrapping. Items of considerable sentimental or monetary value should be wrapped with bubble wrapping to guarantee their safety. If you do not have enough bubble wrap, but still want to use some for wrapping your breakables, it is recommended that you use what you have sparingly as this material can be quite expensive to purchase. A great and less expensive option is to use the ordinary tissue paper to wrap your breakables when you don’t have enough bubble wrap. Note that it makes financial sense to ask the mover to use a combination of bubble wrap and tissue paper. After wrapping the breakables with either of wrappers, make sure to have them packed into a dish pack. Because this box is made of thick cardboard material, it is able to properly absorb shock from a sudden movement or even a puncture. While these kinds of packing boxes are more expensive than ordinary boxes, they offer a great way to further protect your valued items. For added protection, make sure that all your breakables are tightly packed into the dish box. And when you are done packing, ensure to put unprinted newspaper or soft cotton clothing into any leftover crevices plus the top, sides and bottom of the box. It is recommended that you move the breakables yourself after properly packing them. This is particularly so if you do not have the money or time to have them properly packed by a professional mover. Another reason why it is advisable that self packed boxes should be transported by the home owner is that they are not covered by insurance if moved by the moving company. This simply means that in event that something happens while the breakables are transit, you won’t be compensated either by the insurance company or even the mover. One way to protect these items even when not properly packed is to mark the boxes as being fragile. This way, the mover is able to take additional precautions when moving these kinds of items. But whichever the case, a good moving company will never advise a client to transport any breakable items if they are not properly packed and their boxes marked as fragile. All things considered, while the above packing techniques for breakables can greatly minimize the chances of your items ending up damaged, it is recommended that you hire an expert mover to help you pack and for a good reason. These people are well trained in the art of packing and transporting all types of valuables, fragile items included. When Is The Best Time For You To Move House? ←Want To Be A Smart Mover? Then Follow These Tips!